Taiwanese defence planners face a simple—though unenviable—task when crafting the country’s defence policy and military strategy. Taiwan’s only potential enemy is the People’s Republic of China, which is rapidly modernising the PLA. In the face of that build-up, Taiwan’s major political parties and defence policy documents reflect turning to the Taiwanese domestic defence industry to address the country’s defence needs. Taiwan’s military transformation has been somewhat more gradual than that of the numerically and qualitatively superior PLA. Nevertheless, Taiwan has also been engaged in extensive efforts to adapt its armed forces (ROC Army, Navy and Air Force) to the new conditions and technologies of the 21st century Asia–Pacific. However, it appears to be trying to keep up with China, rather than maintaining its capability edge from the 1990s. To this end, Taiwan’s military strategy has been shifting from combined offence and defence in 1980s, to ‘defensive defence’ in 1990s, to active defence in 2000s, and back to a more defensive posture since 2008. However, behind those fluctuating doctrinal changes is Taiwan’s continuous adaptation to changing conditions and concentration on advanced weapon systems. For example, Taiwan’s greater emphasis on active defence after 2000 reflects the country’s development and procurement of weapon systems able to engage PLA forces or even target cities deep inside China and with previously unseen precision. This has led policymakers to contemplate pre-emptive strike as an alternative to absorb the enemy’s first attack. 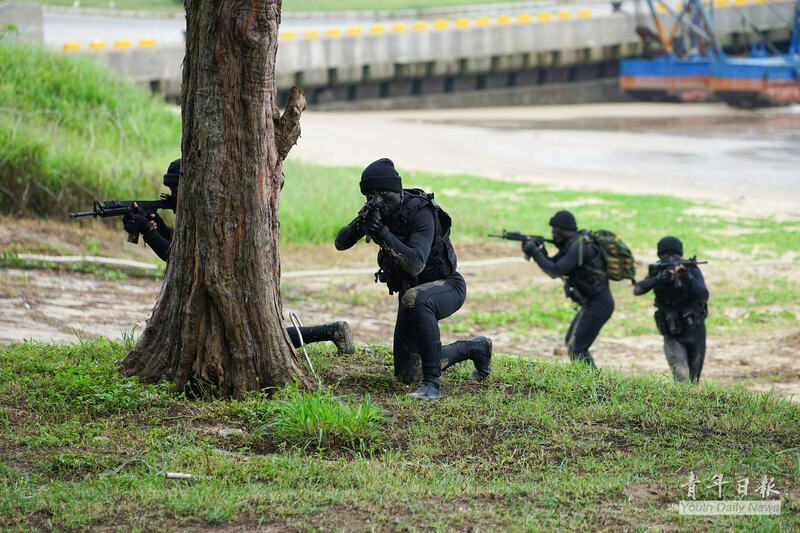 The return to a ‘defensive defence’ posture (aka Hard ROC) in recent years is a reflection of a softer approach towards China by Taiwan’s current government, and the realisation that pre-emptive attack is politically problematic. 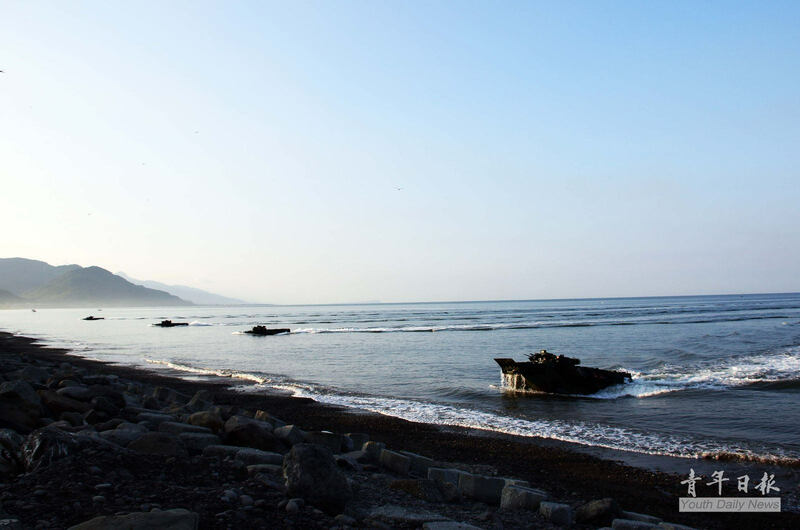 Instead of associating these capabilities with pre-emption, recent Taiwanese policy documents have embedded them in Taiwan’s military drive for asymmetry and innovation in its defence posturing. Part of Han Kuang 31 exercise (漢光31號演習) were counter-amphibious landing operations. Image Credit: CC by 青年日報 Youth Daily News/Flickr. Defence policy and military strategy cannot be separated from the capabilities of either military. Acquisition-wise, Taiwan’s options are limited for two main and well-known reasons. The only country that seems to be willing to sell advanced weapons to Taiwan is the US, and this source has run rather dry in recent years with the 2011 arms package being the last major sale. Another problem is that in the absence of competing offers, US companies have no incentive to push the price down, meaning that Taiwanese taxpayers pay a premium price for defence acquisitions. This leaves Taiwan’s domestic research and development programs (R&D) as the only viable alternative to major foreign arms sales. For its part, Taiwan’s domestic defence industry is in reasonable shape. The ability of domestic companies to address Taiwan’s defence needs was visible during recent 2015 edition of the Taipei Aerospace & Defense Technology Exhibition (TADTE). For example, the National Chungshan Institute of Science and Technology (NCSIST)—the nation’s premier defence R&D centre—unveiled the new MALE long-endurance unmanned aerial vehicle. The NCSIST display also included recent products of Taiwan’s indigenous missile program: the subsonic Hsiung Feng II (HF-2) and supersonic Hsiung Feng III (HF-3) anti-ship missiles (ASM), the Tian Kung 3 (TK-3) surface-to-air missile believed to be on par with US-made Patriot, and the Sea Oryx—a short-range air defence system that could be the replacement for the antiquated Chaparral system currently deployed on several ROC Navy vessels. Taiwan’s shipbuilding industry is equally capable of producing advanced combat ships for Taiwan’s navy. CSBC Corporation has experience with licensed production of Oliver Hazard Perry-class frigates, the Kuang Hua VI fast missile boats, and the recently delivered Panshih fast combat support ship (AOE). However, the most interesting Navy intake of late is the nimble, stealthy missile corvette Tuo Jiang, equipped with eight HF-2 and eight HF-3 ASM. Built by Yilan-based Lung Teh Shipbuilding, the 500-ton ship entered service at the end of 2014 and will be followed by 11 sister ships. Missiles, drones, and stealthy missile boats do all address specific defence needs by providing Taiwan asymmetrical capability not unlike China’s own A2AD. Could Taiwan’s defence industry develop further and deliver high-end, top-tier, capability and reduce Taiwan’s dependence on arms sales? Could it offer Taiwan’s military some of the platforms it has unsuccessfully asked for or expressed interest in in the past, such as new advanced fighter jets, Aegis destroyers, or diesel-electric submarines? Should it aspire to aim higher in a first place? There is no straightforward answer. Militaries do not need new high-tech weapons just for the sake of having them. They do need weapons that fit particular operational requirements. Before policy makers in Taipei task domestic companies, they ought to think carefully about how each capability fits specific conditions in the Taiwan theatre. For example, an Aegis missile defence may appear to be impressive system but not very suitable for Taiwan. To protect Taiwan from ballistic missiles, Aegis ships would need to be deployed in the Taiwan Strait or nearby waters, thus exposing themselves to enemy fire in a rather confined space. Moreover, low-tier land-based air defence systems like existing TK-3 or PAC-3 are more suitable for countering short-range ballistic missiles that never leave the atmosphere, thus having a relatively low ballistic trajectory. This is not to say that Aegis does not have utility for Taiwan navy as it would improve greatly fleet air defences. However, in that case, the discussion should be about whether Taiwan should spend money on large vessels or use limited resources on sea-denial platforms with better survivability, like the Tuo-Jiang class corvette. 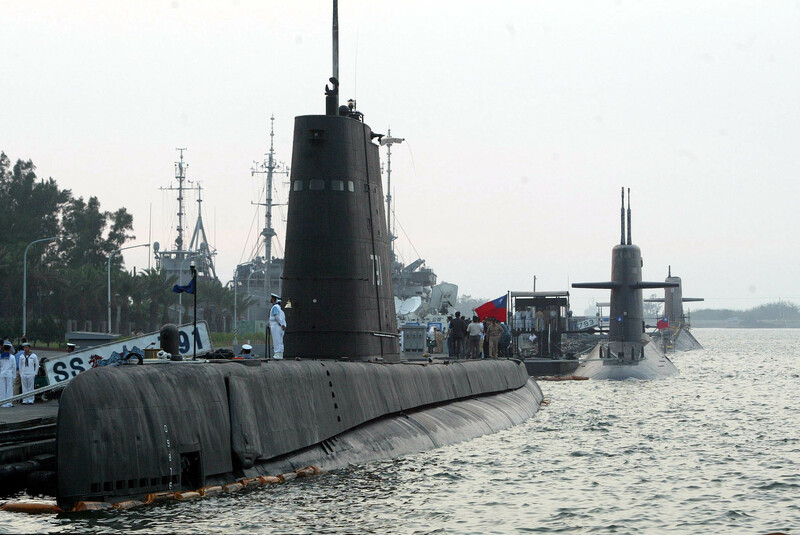 On the submarine front, Taiwan’s government says yes. It certainly makes more sense than an Aegis project. Modern diesel-electric submarines are nearly ideal asymmetrical platforms. They are extremely silent and equipped with a new generation of torpedoes, mines, and cruise-missiles. However, it is inevitable that Taiwan will need foreign assistance if the project is to be successful. Foreign assistance when pursuing complex defence programs is not something only the small players need to worry about. In fact, with exception of US (and Russia, to an extent), no country relies exclusively on its domestic industry when pursuing submarine or jet fighter programs. For example, Chinese fighter jets have Russian engines, and were it not for the arms embargo, Beijing would surely be interested in approaching the European defence sector. More Taiwan-specific are limitations stemming from simple scale economies. Unless Taiwan is able to field sizeable orders from foreign buyers, the cost of developing top-tier weapon systems would be prohibitive. This, however, is to a considerable extent political problem and solution to it is not entirely in Taipei’s hands. Taiwan surely needs to start thinking about the replacement cycle for the existing platforms. One day, even the upgraded F-16s will need to retire. It is possible that a submarine program would serve as a litmus test of the ability of the indigenous industry to engage in complex top-tier programs and that a new generation fighter jet program might be the next big thing. Be that as it may, Taiwan’s defence industry already supplies some of the critical systems required to mount credible conventional deterrent. These systems may not be as impressive as new fighter jets, but Beijing is surely well aware of the danger they present. This is a longer version of an article originally published on The Strategist, blog of Australian Strategic Policy Institute, on 16 September, 2016. Hai Shih (SS-791), ex-USS Cutlass (SS-478), the oldest active submarine in the world. Hai Hu (SS-794) and Hai Lung (SS-793), both Zwaardvis-class vessels, in the background. Image Credit: HuronSerenity/Reddit.